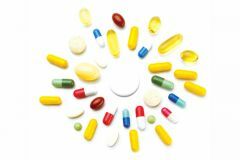 This page shows the latest antimicrobial resistance news and features for those working in and with pharma, biotech and healthcare. Approximately 38 fully matching, plus 31 partially matching documents found. Antimicrobial resistance (AMR) is a complex issue of global concern that has the potential to void advances in modern medicine. ... There are growing concerns about the lack of new drug development surrounding antimicrobial resistance. and to enable government to meet ambitious goals such as universal health coverage, global health security and continued innovation in areas of high unmet health needs such as antimicrobial resistance. drugs to help tackle the global crisis of antimicrobial resistance.”. ... Antimicrobial resistance is a huge area of unmet medical need and one of the greatest threats to human health. area as the world recognises the growing threat of antimicrobial resistance.